disciplemexico.org · It’s Good to be Back! We know that it’s not always possible for every missionary to return to the same place for three consecutive terms. There are many factors that cause them to change fields or even entire regions. Neveretheless, we can’t overstate the blessing that it is for us to be able to return to the Yucatan and reconnect with the work we’d begun and the people with whom we’d collaborated. In August, we were blessed to see the reestablished church in Tigre Grande, planted by Rangel and Claudia Vázquez, recieve their new pastor, Yani May, a former student of mine and graduate of the Bible Institute. Kelly and I had the privilege of praying for her during her commissioning service. In September, I (David) was able to return to the work in the Bible Institute, having been invited to help in the formation of the next generation of Assemblies of God ministers. It’s been a joy to take up the class of Evangelism again, sharing my desire to reach the lost with both new and continuing students, and walking with them to facilitate their projects that have been designed to fulfill that goal. Here in October, the reunions continued as we had the opportunity to preach for and then share a meal with Guadalupe Campos and her husband José, pastors of the church plant in Sierra Papacal. It was wonderful to encourage their congregation, retrace the events of the past year, as well as gain a deeper appreciation for their passion for the ministry as they continue their work in spite of some tremendous obstacles. Thank you then for your prayers and support. They’ve helped us to return to Mexico. 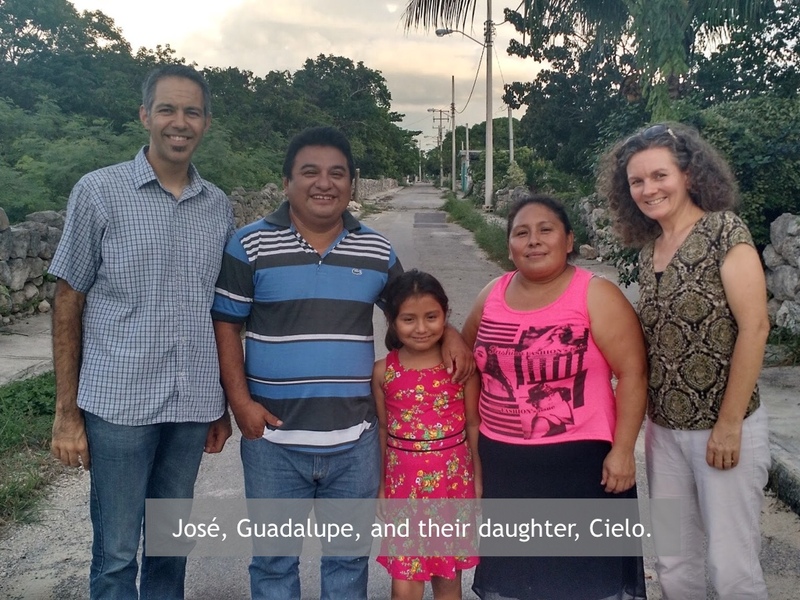 They’ve made possible these reunions and have given opportunity for new connections, connections that will enable us to fulfill the vision of the Yucatan Peninsula full of churches diverse in class, status, education, and language, but united in their love for the Lord and each other.